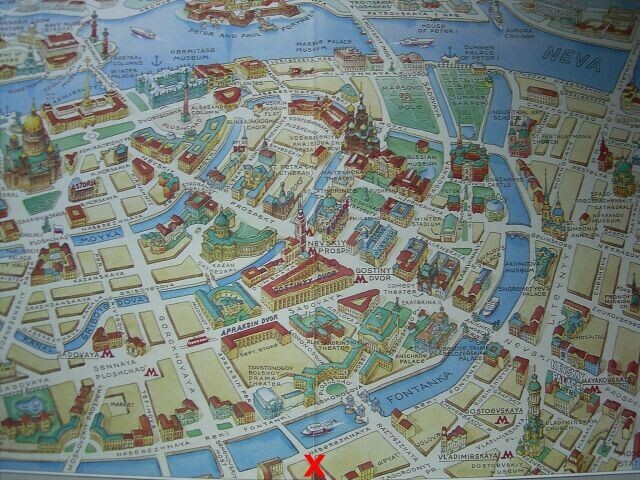 Here you can see the location of the apartment on the map of St.Petersburg and the distance to the international airport as well as to the center with the most places of interest. The apartment is located in a smaller quiet side street in an old house with fine architecture in the second floor. 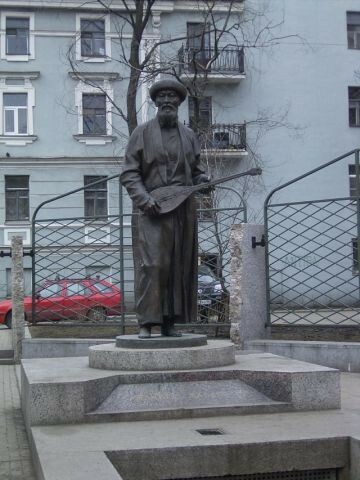 The street itself, pereulok Dzambula (on some maps Leshtukov Pereulok) is a side street to the Fontanka-river. 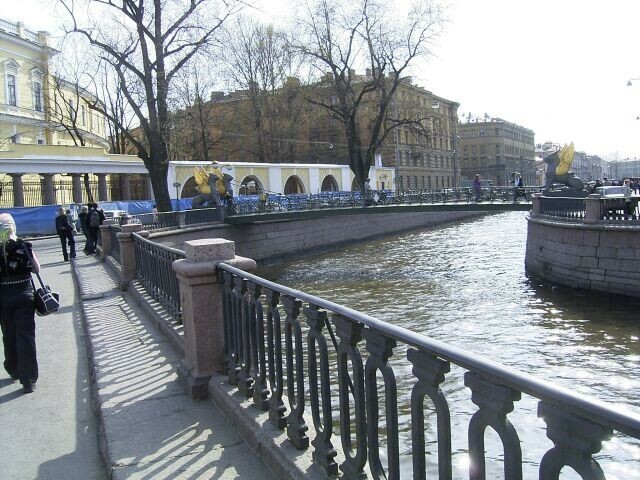 It ends up at the Lestukov-bridge and the big drama theatre of St.Petersburg (BDT) on the other side of the river, both also about 2 minutes away on foot. 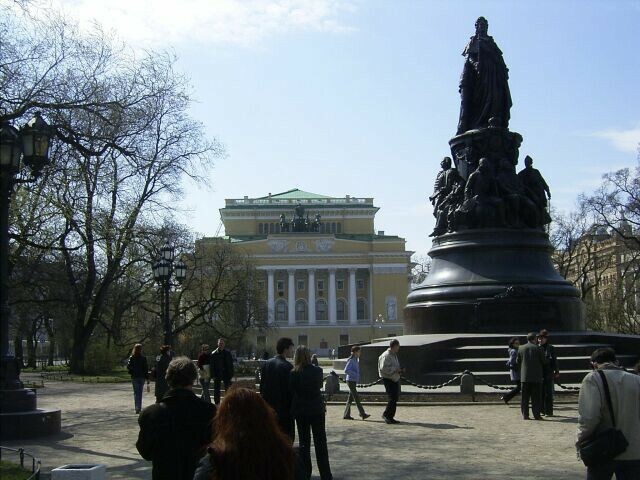 Many places of interest, such as the Alexandriisky theatre, a state park with the monument to Catherina the Great, the Dostoevsky Museum as well as the Philarmonic hall, the smaller opera and ballet house, the Jazz Philarmonic Hall and the State Russian Museum are 10-15 minutes away on foot. The house is close to three metro stations (Pushkinskaya, Vladimirskaya and Gostiny Dvor), Sennaya Square with its metro station is also not far. 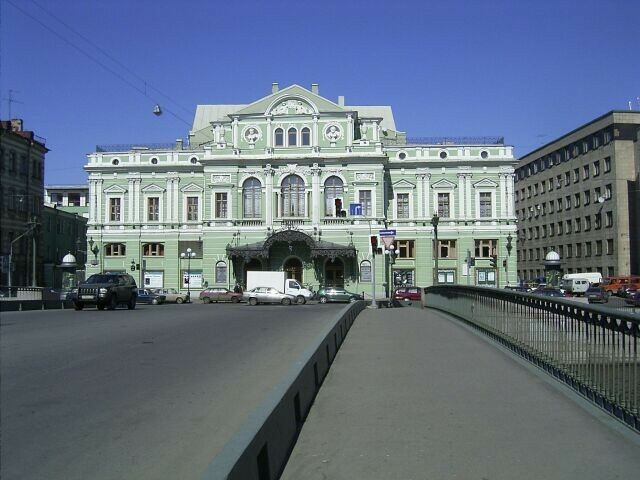 There are two railway stations, Vitebsky Voksal where you can walk and Moskovsky Voksal, the last one approx. 15 Min. on foot. It takes you max. 20-30 min. by car to reach the international airport Pulkovo II. 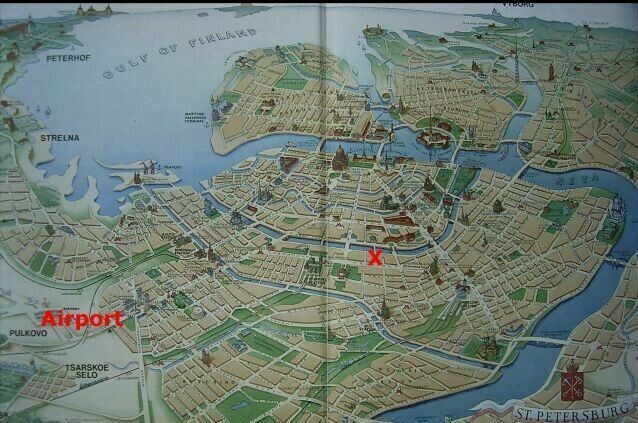 You can take the tube to go to the port.